Sydney Striders Juniors: State Relays weekend - 17th and 18th November. 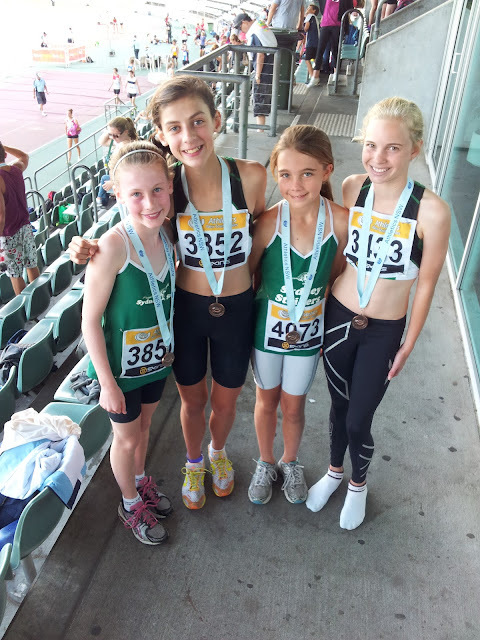 Sophie Gocher, Edita Grinbergs, Olivia Hogg and Tessa Constantine - bronze medal winners in the U14 girls 1500m. 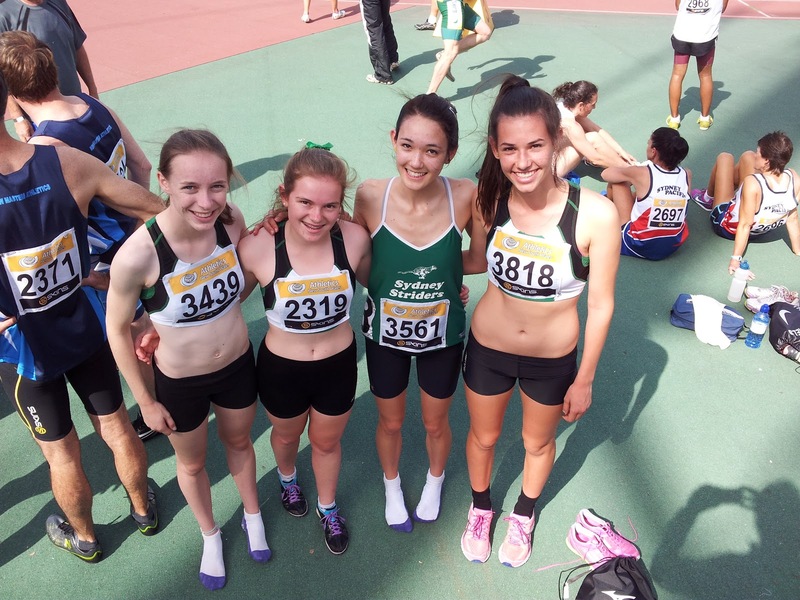 Bethany Halmy, Amelia, Hannah G and Jemima in the U18 girls 800m - they got bronze. Quite cool, don't you think? 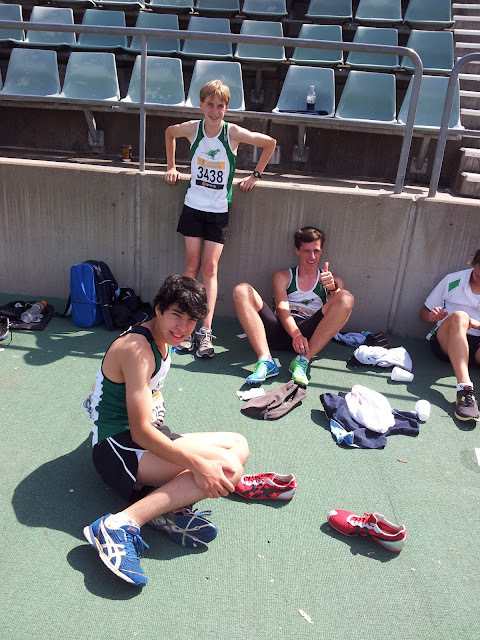 Daniel Francken, Adam Halmy and Paul Loader hanging out before their race. 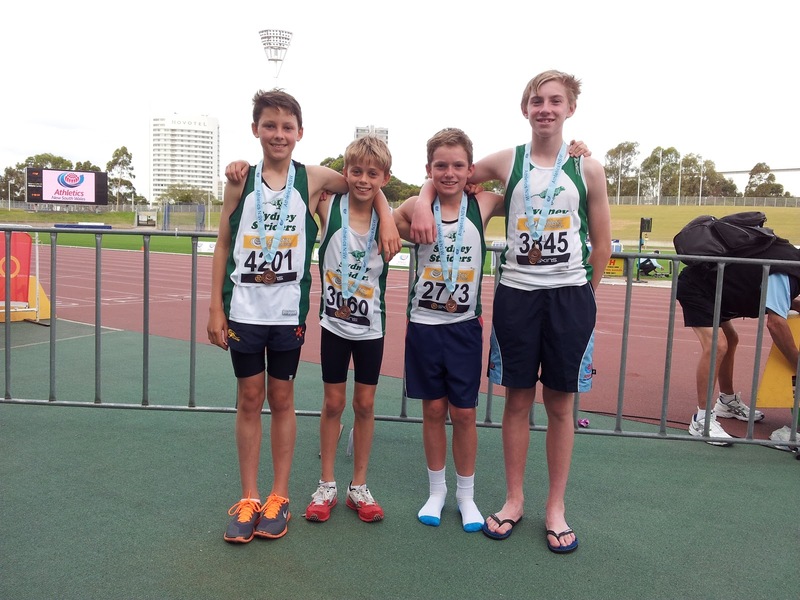 Fraser, Tom Davies, Liam Gorman and Lachlan Cooper - bronze in the under 14 boys 1500m. Gabe Corke - our 51 second 400m runner - soon to be 50 or under I'm sure. 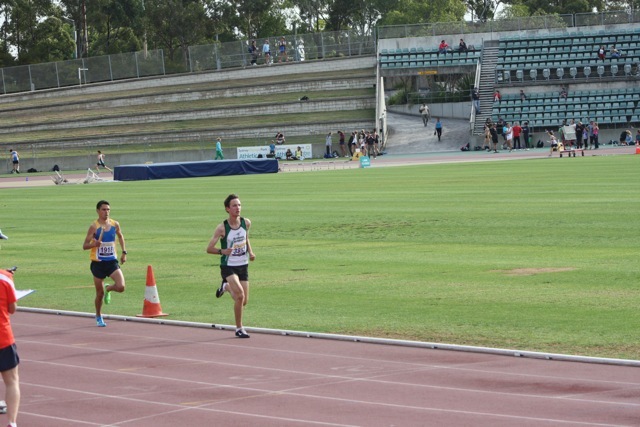 Tom Kirkland running in state relays for the first time. 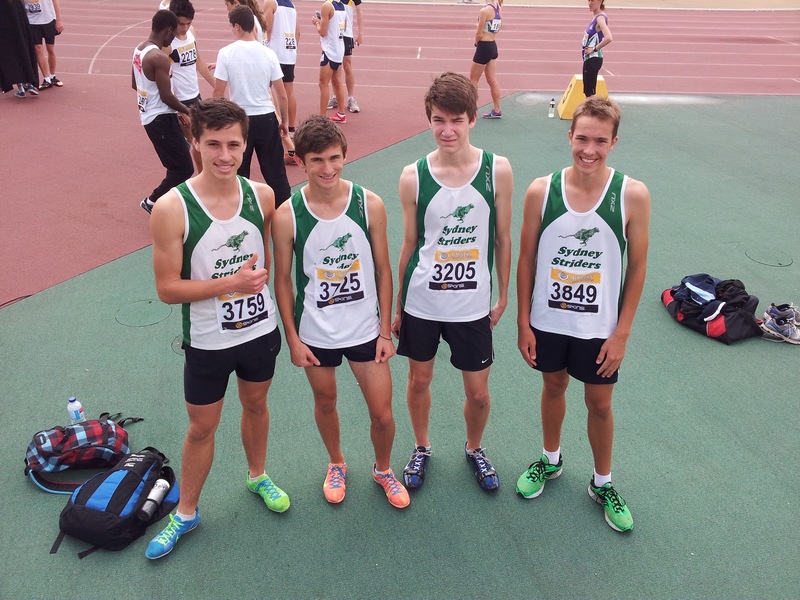 Under 18 boys and under 14 boys at the star or the 1500m relayt: Daniel Francken and Lachlan Cooper. Kieren Gorman, Liam Garmen, Lachlan Cooper and Fraser - bronze medal winners in the U14 boys 800m. Joe Burgess in the main pack.